Google is launching its most awaited operating system on June 15, 2011 . Google presenting it in Samsung and Acer notebook , so called as Chromebook . Some of the benefits of the Chromebooks are that they have all-day battery life and built-in Net connectivity. With Verizon Wireless, the Chromebooks will offer pay-as-you-go pricing, with monthly or daily passes for 3G connectivity. 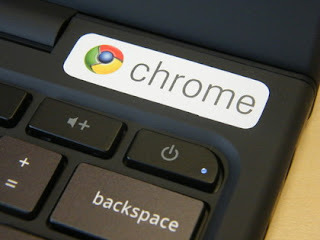 The Chromebooks get updates every few weeks, just like Chrome. Users don't have to worry about installing patches. The new devices have dual-core processors from Intel. Google also announced enterprise pricing: Businesses can get Chromebooks, a Web console for management, support, warranty, replacements if something breaks, and hardware auto-updates for $28 per user per month.